The United States military strategy published in 2012 has referred to India as an important player in the Indian Ocean and notes, “The United States is also investing in a long-term strategic partnership with India to support its ability to serve as a regional economic anchor and provider of security in the broader Indian Ocean Region.” Perhaps what is interesting is that India is being given the status of ‘security provider’ and the US expects it to play a larger role in the Asia-Pacific region and be more proactive to support its ‘rebalance’ strategy. It is raining ‘accolades’ for India. 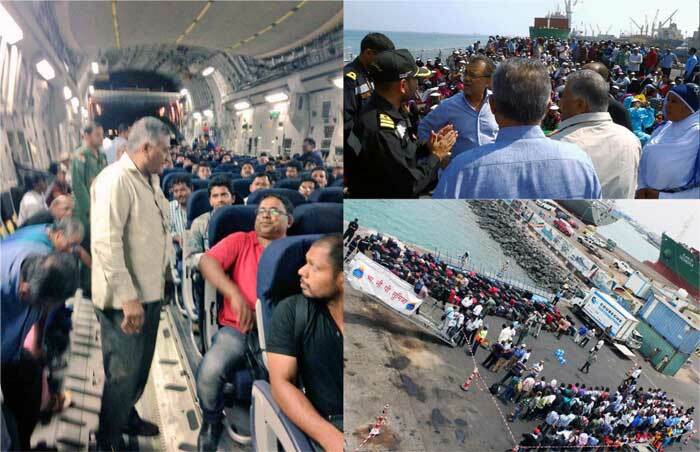 The international community has acknowledged India’s support in evacuating people from war-ravaged Yemen. The civil war in Yemen turned in favour of the Houthi rebels who successfully overthrew the government and took over key towns including the port city of Aden. Yemeni President Hadi fled overseas and the country witnessed fierce battles between the Saudi Arabia-led coalition and the Houthi rebels. In the realm of humanitarian aid and disaster relief, there is much room for cooperation among the United States and its Asian partners. At 0440 Philippine time on November 8, 2013, Typhoon Haiyan—known locally as Yolanda—made landfall in the Philippines. It was one of the strongest typhoons on record to make landfall. It struck the central Visayas region and continued on to Leyte, Cebu, and Panay, hitting a total of six provinces and affecting over eleven million people. About four million people were displaced, over six thousand were initially reported as killed, and nearly six million required emergency food aid. The Philippine government and local governments in the affected areas were unable to respond. Transportation and communication infrastructure was destroyed in the storm. Without immediate aid, the death toll rose to catastrophic levels. Western democracy may not be the end of history after all — Asia has another model in mind. In May, The Atlantic ran two interesting pieces on the future of liberal democracy, especially in the context of Asia and the Middle East. In “The Future of Democracy in the Middle East: Islamist and Illiberal,” Shadi Hamid argues correctly that democracy and liberalism do not necessarily go together, as they do in the West. It is just as likely for a democracy to produce an illiberal system as it is to produce a liberal one, especially throughout much of the Middle East (and Eastern Europe, Central Asia, and so on). This is, of course, non-ideal, and reveals several flaws in the idea of implementing democracy in non-Western societies. It also raises the question: what is more important in the end — having basic legal rights (liberalism) or simply voting once every few years for a government whose policies one can hardly influence? This is an important year for sustainable development. Within just six months remaining, countries all over the world will have to make decisions that will set pathways for global wellbeing. One particular global issue that matters to sustainable development and should be addressed in the post-2015 development agenda is population dynamics, including rapid population growth. The current population trend is particularly worrying for the Asia-Pacific region, already home to more than four billion people, or almost 60 percent of the global population. This number is expected to increase to five billion by 2050. Recent tension between the China and Japan in the East China Sea has raised the possibility of armed conflict the two countries. The two historical antagonists have not fought since 1945, in part because China has been unable to project power beyond its borders. Two decades of double digit defense budget increases for the People’s Liberation Army have sharply changed that. China now has more ships and planes than Japan, and appears to have a large, modern force in mind to challenge U.S. forces in the Western Pacific. Although unlikely, the possibility of the second and third largest economies in the world slugging it out is a fearsome prospect. Even more so is the likelihood that the United States would be drawn into the conflict. Our author offers an estimate, focusing on the Type 054A (Jiangkai-II) frigate. What does it actually cost Chinese naval shipyards to build major warships? Chinese sources do not disclose actual or estimated warship and submarine production costs, so it falls on external analysts to generate this important dataset. Quantifying warship production costs bolsters our understanding of how China’s defense budget actually translates into hardware and capabilities. This analysis focuses on the Type 054A (NATO codename: Jiangkai-II) frigate, for three primary reasons. First, it is China’s most prolifically produced large, modern major surface combatant. Second, it has been series produced for several years. Third, it is the cornerstone of the PLAN’s surface warfare capabilities at present and has actually seen sustained (and ongoing) operational deployments. The United States and China both have an overriding interest in keeping the peace. In a recent piece on the South China Sea disputes, I argued that “the ASEAN claimants are largely staying behind the scenes while external powers take center stage.” Based on recent developments on the South China Sea issue, it seems the U.S. will not only be a ‘director’ but an actor. We saw this clearly on May 20, when the U.S. military sent surveillance aircraft over three islands controlled by Beijing. However, this does not necessary mean the South China Sea will spark a U.S.-China military conflict. China is adding 8 acres a day, while other images corroborate Malaysia on South Luconia Shoals. 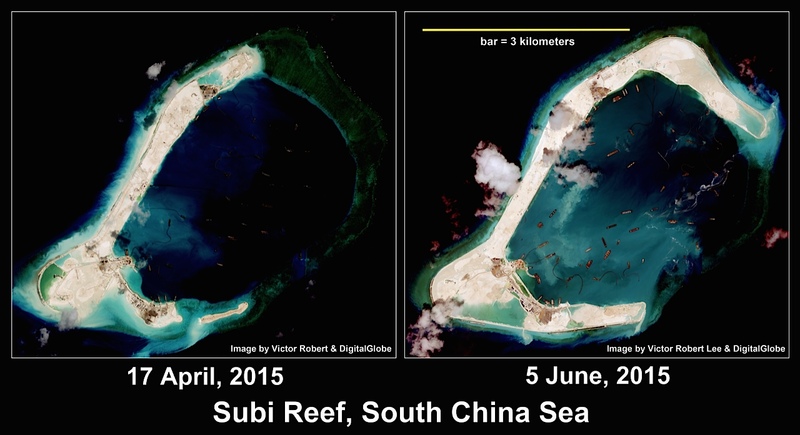 Satellite imagery from June 5, 2015 shows China has expanded its land fill of Subi Reef by 74 percent in less than two months, adding an average of eight acres of surface per day on that reef alone. Mischief Reef, larger than Subi, is now more than half filled in, according to a June 9, 2015 NASA image. Subi’s expansion, to 3.87 square kilometers (955 acres*), has proceeded by extension along the reef as well as by widening. As previously reported, a straight segment of land fill on Subi is long enough to accommodate an airstrip more than three kilometers long; terrain grading patterns on this segment resemble China’s preparations for a now-constructed airstrip at Fiery Cross Reef, making it highly likely that China will build an airstrip at Subi as well. The June 16 announcement by China’s Foreign Ministry spokesperson Lu Kang that “the land reclamation project of China’s construction on some stationed islands and reefs of the Nansha (Spratly) Islands will be completed in the upcoming days” deserves to be treated with skepticism. Earlier obfuscation from Beijing defended its new installations as shelter for fishermen. The China International Payment System is another component of the financial infrastructure for a global currency. China’s central bank will launch the China International Payment System (CIPS) this fall. The system will be located in Shanghai and will facilitate cross-border trade settlement, direct investment, and other RMB-denominated deals. This will reduce transactional costs for RMB clearing and make such transactions easier. The international payment system is expected to expand internationalization of the RMB as China continues down the long path of market-oriented reforms. China currently uses the China National Payment System (CNAPS), with a 2014 settlement amount of 6.55 trillion RMB, according to the People’s Bank of China. The transition to CIPS will better allow use of both Chinese and English and will run on SWIFT ISO20022 standards, consolidating a system of multiple clearing houses. The system is currently being tested among 20 banks and will be rolled out to other banks in the fall. Cross-border use of RMB is expected to rise as it becomes easier to engage in foreign currency transactions. During yesterday’s meeting in Tehran between Iraqi Prime Minister Haidar al Abadi and Iranian President Hassan Rouhani, the former introduced the latter to Abu Mahdi al Muhandis, the operations chief for the Iranian-backed Popular Mobilization Committee and a US-listed Specially Designated Global Terrorist. Muhandis, who the US government has described as “an advisor to” Qassem Soleimani, the commander of Iran’s Islamic Revolutionary Guards Corps’s Qods Force, was photographed with Abadi earlier this month. And he also has been photographed with Soleimani in Baghdad just last month. Muhandis’ prominence in the top circles of power demonstrates just how much the Iraqi government has relied on the Popular Mobilization Committee to fight its battles after Iraqi security forces all but collapsed in the face of the Islamic State’s advance last summer. The disclosure indicates that the CIA continues to employ a controversial targeting method that the administration had signaled in 2013 that it intended to phase out, particularly in Yemen, which U.S. officials have said is subject to more stringent rules on the use of lethal force than in Pakistan. A bus attack in late May targeted Pashtun, potentially opening up a new chapter in local lawlessness. On May 29, dozens of heavily armed gunmen, wearing the uniforms of security forces, intercepted two buses in Balochistan carrying local Pashtun from Pishin to Karachi. After forcing the passengers off the buses, the gunmen shot and killed 22. The assault occurred in a town in Balochistan’s Mastung district, which lies around 40 km south of Quetta, the provincial capital of Balochistan. “After searching and identifying them, the passengers were taken away to nearby mountains, where they were killed,” an eye witness said. “When the buses came to a screeching halt, the armed men forced their way on board.” Balochistan’s Home Minister Mir Sarfaraz Bugti confirmed that the attackers were wearing the uniforms of security forces. A Belgian court goes after Russian assets in the decade-old Yukos case just as Brussels renews economic sanctions on Moscow through the rest of the year. More than a decade after Russia stole the assets of oil giant Yukos, shareholders of the now-defunct firm may be a feeling a profound sense of schadenfreude after a Belgian court reportedly ordered the seizure Wednesday of 1.6 billion euros worth of Russian assets. The decision would be the first fruit of the largest arbitration case in history,decided last summer, in which former Yukos shareholders won a $50 billion settlement against Russia. An international arbitration panel in The Hague ruled that the dismantling of Yukos beginning in 2003 was politically motivated. It said that Russian President Vladimir Putin and other top Russian officials used a tax dispute to wrangle away Yukos’s assets — and imprison its then-boss, Mikhail Khodorkovsky — to bolster the prospects of other Russian energy firms run by oligarchs friendlier to the Kremlin. Khodorkovsky was freed in late 2013 after nearly a decade in jail, including time in Siberia. A new Russian Air Force Tu-214R could be tracked as it flew close to the border with Ukraine. Social media are going frenzy after a Russian Air Force Tu-214R was spotted and tracked on the Internet, by means of its ADS-B transponder signals detected by Flightradar24 collecting stations, as it flew from Kazan to Crimea and back, closely following the border between Russia and Ukraine on Jun. 18. Sweden will face military “consequences” if it decides to abandon its trademark neutrality and join the NATO alliance, Russian Ambassador Viktor Tatarintsev reportedly told a Swedish newspaper Thursday. Sweden has expressed growing concern in recent months amid a noticeable uptick in Russian military activity, both in Eastern Europe and in the waters off Sweden’s coast. Russia’s annexation of Crimea last year and purported involvement in the eastern Ukraine conflict has led to calls in Sweden for increased cooperation with NATO. Tatarintsev told Swedish newspaper Dagens Nyheter that Russia does not pose a threat to Sweden’s security and accused Swedish media outlets of an “aggressive propaganda campaign” against the Kremlin, according to a translation by the Local. But the ambassador warned that the country’s entrance into NATO would provoke a military response. Waterloo. An interview with John Sopko. And why the United States should heed the wise words of Niccolò Machiavelli. All this and more in this week’s edition of the War on the Rocks weekend reading list. Money quote of the week. “One of our strategic weaknesses is that we labor under the assumption that we can get people to like us (and even worse that we should try to make them like us). We should consider Machiavelli who said it is better to be feared (or better said perhaps, respected) than loved. We need to be able to act decisively in our interests and not apologize for trying to protect those interests as well as our values. 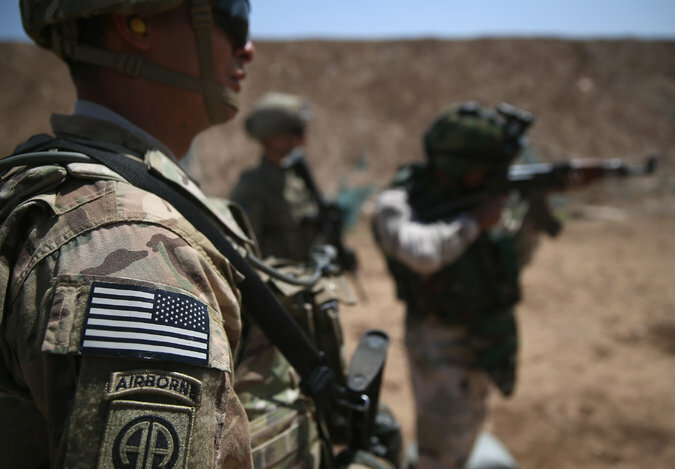 In fact we should consider focusing on protecting our values rather than projecting them.” — David Maxwell writing at Small Wars Journal on how policymakers are increasingly misusing special operations forces’ methods as a strategy, which is ultimately going to lead us to mission failure. People eat ice cream as they walk past weapons capable of destroying an entire continent. Tens of thousands fill a park full of Russia’s latest military weapons: Helicopters. Missiles. Tanks. Boats. Submarines. This is the Disneyland of Russia’s military. And right now in Russia, patriotism is in. Its President, Vladimir Putin, opened Patriot Park this week in the latest move to capitalize on the popularity in Russia of the country’s recent displays of military force. We arrive after an hour’s drive from Russia’s capital city, Moscow. We park and take a bus into the main area where a huge exhibition of weapons and technology is on display. Most people here are families. A father is here with his son. “Russia is unbeatable” he says – and he wants his son to learn it. David Cameron has offered to deploy an extra six British officers from the National Crime Agency to a special Europol intelligence cell in Sicily to “disrupt the trafficking and smuggling gangs”, Downing Street has announced. In an attempt to deflect criticism that Britain is refusing to take its fair share of refugees rescued from flimsy boats in the Mediterranean, the prime minister made the offer of the extra agents to his Italian counterpart, Matteo Renzi. The two prime ministers agreed over lunch in Milan that Europol needs to redouble its efforts to establish the intelligence cell in Sicily, which was given the green light at an emergency summit in April after the loss of as many as 950 lives in the Mediterranean boat tragedy. Nearly 9,000 Russian troops and intelligence agents remain inside Ukrainedespite the Kremlin’s denials, two top Ukrainian officials said on a visit to Washington Wednesday, adding they have shared their findings with the Obama White House. There are roughly 8,960 Russian troops in Ukraine as well as 54 combined Russian training camps in the eastern Ukrainian cities of Donetsk and Luhansk, according to Vitaliy Naida, head of the Department of Security Service of Ukraine, during a presentation at the Center for Strategic and International Studies in Washington. “The threat of a full-scale invasion is still there,” he said. Russia and Ukraine have been in a war of words as the Kiev government continues to battle entrenched pro-Russian separatist forces in the country’s east. President Vladimir Putin and other Russian officials have denied the country’s troops are taking part in the clashes. America’s next-generation aircraft carriers are likely to boast a variety of laser and directed energy weapons, according to U.S. Navy officials. This week, Military.com, citing a number of senior naval officials, said that the U.S. Navy is exploring the possibility of putting laser weapons onboard the USS Gerald Ford, the lead ship in the Ford-class carrier series. "The aircraft carrier is a wonderful platform for the installation of directed energy—currently for defensive use and, as technology gets more advanced, you can look at offensive laser technology,” Rear Adm. Michael Manazir, Director of Air Warfare, told Military.com. Time for the United States, Japan and Vietnam to further increase their economic cooperation, paving the way for new trade and investment relationships. Recent events are merging with shared strategic interests to form the basis of a strong economic partnership between the United States, Vietnam, and Japan. In July 2013, when Vietnamese president Truong Tan Sang visited Washington for the first time and signed an agreement with U.S. president Barack Obama regarding a bilateral “comprehensive partnership,” it created a strong foundation for future economic cooperation between the three nations. In 2008, Japan and Vietnam signed a bilateral economic partnership agreement (EPA)—the first such agreement for Hanoi. All three nations are also members of the World Trade Organization (WTO) and Asia-Pacific Economic Cooperation (APEC), and are all aspirants to the Trans-Pacific Partnership (TPP), which could boost their economic ties considerably. Once a “late comer,” now industrially developed, South Korea has risen to a new position in the global economic hierarchy – from an exporter of migrant labor to an importer. In the late 1980s and into the 1990s, something significant happened: South Korea “arrived.” Economic prosperity and rising living standards meant stable, secure, and relatively high paying jobs for many South Koreans. But it also created a labor shortage in the construction, manufacturing, and agricultural sectors. These shortages, coupled with wage increases, hit South Korea’s small and medium enterprises (SMEs) particularly hard. The only way for firms of this size to maintain acceptable profit margins was to hire migrant laborers, who would work more for relatively less. Thus began a labor market and social transformation. From Peripheral Country to ‘Surrogate Sub-Empire’? Clearly the policies of President Vladimir Putin don’t exist in a vacuum. It’s no secret that grabbing accurate polling data out of Russia remains a chore. Due to governmental constraints, safety concerns, and broader issues with methodology – to say nothing of local polling centers connected to governing structures – much-hyped statistics on the popularity of Russian President Vladimir Putin should be taken with a grain or three of salt. That said, one of the better barometers for Russian national sentiment remains the Pew Research Center, one of the few Western outlets willing to try gauge public sentiment in Russia. Pew released its latest assessment of Russian – and Ukrainian – views earlier this month, a batch well-worth combing through. And while the numbers out of Russia are far less definitive than results among the Western nations, they can still paint a picture of the views of a populace surging through neo-imperialism and slogging through an economic downturn that will continue for the foreseeable future. Does the U.S. Navy Submarine Fleet Need to Adapt? How do you adapt to changing times and circumstances, particularly when your home institution is big, and bureaucratic, and has compiled a long record of success that seems to vindicate its approach for all time? An institution like, say, the U.S. submarine force, or the U.S. Navy as a whole? You start by reflecting. The greatest strategist we don’t study systematically in Newport is none other than Florentine official and man of letters Niccolò Machiavelli. Best known in caricature—as a sort of mustache-twirling purveyor of ends-justifies-the-means logic—Machiavelli has far more to say than that. Indeed, my old professor Michael Handel depicts his writings as the interface between ancient and modern modes of statecraft and warmaking. No small compliment. Now, Nicky the Knife was no stranger to bareknuckles politics. Few survived, let alone prospered, in Renaissance Italy without the capacity for occasional villainy. But his core idea is that keeping in tune with the times constitutes the central task of statecraft. Adapt, and you shall thrive. Stagnate, and you shall become the next Borders, or Blockbuster, or pick your favorite senescent enterprise. It's getting harder and harder to hide these days. Thanks to through-the-wall sensors, such as Camero-Tech's line of Xaver tactical radars, law enforcement and the military can detect anyone inside a closed room and determine his distance from the device. In fact, the FBI and U.S. Marshals Service have been secretly using these sensors for more than two years, according to USA Today. 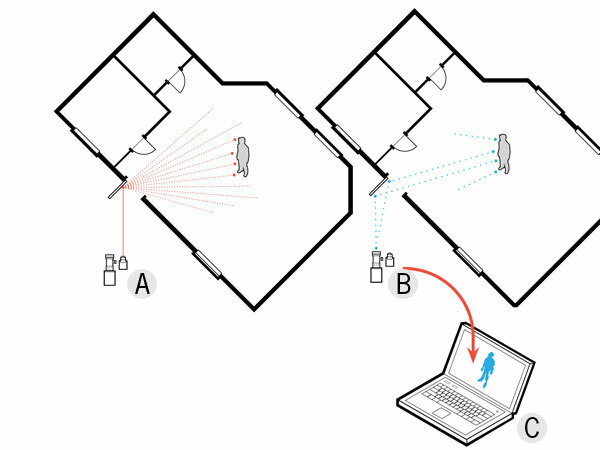 Now DARPA wants to go one step further: It is researching ways of seeing around corners and behind walls, something not possible with conventional line-of-sight cameras and scopes. 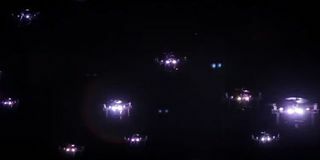 Called theRevolutionary Enhancement of Visibility by Exploiting Active Light-fields (REVEAL) program, the idea is to use bouncing photons of light to construct a 3D image of a person otherwise hidden from view. DARPA didn't respond to a request from PM for an interview with REVEAL program manager Predrag Milojkovic. But DARPA's recent announcement of REVEAL indicates the agency is using as a springboard the pioneering work of Ramesh Raskar, head of the MIT Media Lab, and Andreas Velten, a University of Wisconsin-Madison physicist. Is Canada equipped to deal with foreign agents active within our borders? Earlier this week, a Globe and Mail story revealed concerns held by the Canadian Security and Intelligence Service (CSIS) about an Ontario cabinet minister. The report alleged Canada’s intelligence agency considered Ontario Minister of Citizenship and Immigration Michael Chan to be a potential threat to Canada, and under the influence of Communist China. Chan, who has called the allegations “ludicrous”, has not been charged with any crime. Ontario’s ethics commissioner reportedly investigated his dealings with China and found he did not violate Ontario’s laws. There is no public evidence Chan’s regular communication with the Chinese consul-general was dubious in nature. The news, out of left field, was quite shocking. One of baseball’s premiere franchises had been accused of electronic sports espionage. On Monday, it emerged that the federal government was investigating whether St Louis Cardinals’ front-office officials had illegally accessed a proprietary database of the Houston Astros. In late May diplomats from the United States, South Korea, Russia, Japan and China met in Japan for a low key and informal meeting to discuss what to do about the North Korean nuclear program and the instability of North Korea in general. North Korea is refusing to discuss its nukes and the May meeting changed nothing. Meanwhile sources in Iran revealed that a North Korea technical delegation had recently visited and met with Iranian ballistic missile and nuclear experts. North Korea confirmed that the head of the North Korean armed forces (general Hyon Yong Chol) was executed on April 30th. The reason given was that Hyon was found to have fallen asleep during a meeting presided over by Kim Jong Un. It was not confirmed that Hyon was executed using a ZPU 4 (a four barrel 14.5mm anti-aircraft machine-gun) in front of many senior officers. The Kims have often used unusual executions of senior officials to terrorize and encourage the bureaucracy that actually runs the country. Hyon was Defense Minister but that is not a particularly powerful job up there where the head of the Defense Ministry is mainly responsible for logistics and maintenance. Making public this execution has made the few hundred families that supply the senior leadership very nervous. This could be heard across the border in China where members of these families buy real estate and deposit cash in local banks, just in case. Noticing this the government ordered the military to release no further details of the execution and warn officers against spreading rumors. Several Canadian government websites and servers were taken down in a cyber attack on Wednesday, the government said, with the hacking group Anonymous taking responsibility in what it said was retaliation for a new anti-terrorism law passed by Canada’s lawmakers. The encyclical is in some respects an oddly heterogeneous read, which intersperses theology between sections that sound more like the products of a think tank, a nerdy advocacy group, or a philosophical discussion group. The document is sprinkled with terms such as anthropocentrism and techno-economic paradigm. The encyclical addresses multiple aspects of the environmental damage that is despoiling our “common home,” but its single most important theme is acceptance of the mountain of scientific evidence that human activity is heating the planet, and the consequent need to change the direction of that activity. The Asia-Pacific has witnessed growing tensions in recent years. Many states in the region harbor security and defense concerns with regards to maritime security, territorial disputes and sovereignty, military postures, and the sustainability of regional alliances. In an effort to address these concerns, the Center for Global Progress sponsored a trilateral dialogue among representatives and scholars from the United States, Japan and Vietnam. The dialogue not only focused on existing security cooperation between these three nations, but also explored ways to improve on these efforts in the future. This process resulted in a comprehensive report—“Tackling Asia’s Greatest Challenges”—based on the dialogue, which was published on June 17, 2015, and a trilateral conference at the Center for the National Interest (CFTNI) on June 18, 2015. The United States, Japan and Vietnam stand a lot to gain from expanding their strategic partnerships to battle regional maritime challenges. Cooperation between Japan, the United States, and Vietnam has been improving dramatically over the last several years—a reflection of both the changing strategic environment in the region, as well as a deepening sense of trust among the three countries. Recent events—especially when one examines specific instances of warming bilateral ties with Vietnam—demonstrate how far relations have come. For example, during U.S. secretary of defense Ashton Carter’s recent visit to Vietnam from May 31 to June 1, 2015, he and his Vietnamese counterpart, Gen. Phung Quang Thanh, signed a Joint Vision Statement on Defense Relations—a remarkable development in the defense ties between the two nations, as relations were only normalized just twenty years ago. In the case of Japan, Vietnamese-Japanese defense cooperation has also moved in a similar direction since the two countries upgraded their limited strategic partnership to an extensive strategic partnership in June 2014. All of this comes on the heels of increased defense ties between the United States and Japan, who just announced updated Guidelines for Defense Cooperation with the possibility of joint naval and air patrols in the South China Sea—a development of considerable interest to Vietnam. When it comes to ground vehicles, U.S. Special Operations Command is embracing the notion that lighter is better. SOCOM wants platforms that can traverse difficult terrain and deliver special operations forces to their targets quickly, sacrificing armor protection for greater mobility.